Welsh challenger bank Chetwood Financial has unleashed a “world first loan” where the rate falls as borrowers improve their credit score. The idea is to reward good borrowers – and it is called LiveLend Reward Loan. Chetwood says rate cuts will be delivered every three months, with 2% shaved off the rate for every 25 points of improvement in credit score. There’s more good news as the rate customers pay can never go up, even if their score worsens for any reason, giving LiveLend customers “peace of mind, combined with the potential to save significant sums if they meet their repayments and improve their credit strength”. Data is provided by ClearScore, who supported LiveLend with the development of the Reward Loan. The lender estimates that one in four will unlock a reward within the first three months and almost half can expect to have their rate slashed after twelve months. 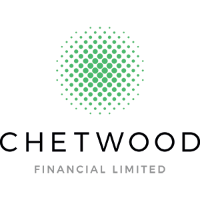 LiveLend is part of Chetwood Financial. As reported in January, the latter got its banking licence at the end of last year. The company is based in Wales, at Wrexham Technology Park. It announced plans to create 90 jobs locally. The Welsh government supported the move with £750,000 funding. Chetwood launched its first product – “a new type of loan” – under the LiveLend brand last year. LiveLend aims to provide “fair and flexible” digital lending. Chetwood’s founders are Andy Mielczarek (CEO) and Mark Jenkinson (COO).